In the IT services and consulting industry, most of your leads are not ready to buy immediately. Typically your leads will get quotes from different companies, take the time ro review them all, and likely present the options to someone else before they sign a contract with you. Sometimes things get busy during that process, and they put off the decision for months. They might wait so long that they just start the search again when they get back into it. So how does your IT company deal with that? If you’re like most, they follow up a few times after the initial quote and that’s about it. 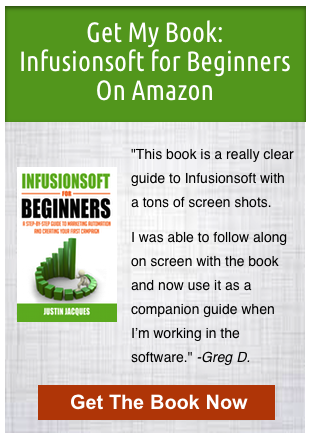 If you’ve got Infusionsoft, this is where you can leverage it to really crush your competition, plus get way more out of your current ad spend. You do this by creating a nurture sequence, which is a series of touch points that nurture your leads until they are ready to buy. This could be emails, phone calls, and direct mail. 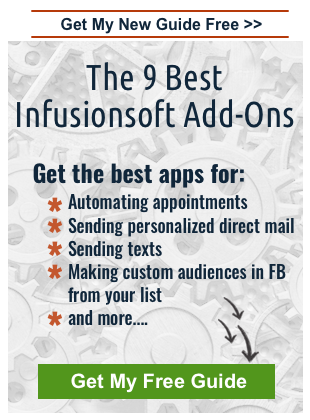 With Infusionsoft you can completely automate your nurture sequence, meaning it’ll cost you absolutely nothing once you set it up ­- no extra manpower, money or ad spend. What is a Good Nurture Sequence? A good nurture sequence will provide value for your leads AND allow you to stay in front of them until they are ready to buy. What’s important for a good nurture sequence is that you build it long enough. It should be at least as long as your average sales cycle. If you don’t know the length of your sales cycle at this point and you’re selling high ticket services or packages (min $500), which most are in this industry, then start with six months. As you create content over time, you can always add to the length. With Infusionsoft, and marketing in general, it’s better to just get started and create something rather than waiting until you have the time to create the perfect campaign. Create an Outline - Decide how long you want to make the campaign. The length depends on how long your sales cycle is. Generally the higher the price point the longer you want it to run. Aim for a minimum of six months. Decide on the frequency. Start with the first couple emails closer together, ~1­-2 days apart, then start spacing them out further and further. By the 6 month mark, you can space emails out every 2­-4 weeks. Looking at a calendar, now you can figure out the number of emails you need to write based on your outline above. You can also fill in the form below to get the Nurture Sequence Planning Tool to help you plan out the content and frequency of emails. It's a handy spreadsheet I put together to make the sequence easy to visualize. Brainstorm a list of emails based on the suggestions below. I like to also create the subject lines when I’m doing this. Having the subject lines makes it really easy to write the emails after. Put the email topics in order that you want to send them and put them into the calendar outline. Start writing emails using the options below or re-use previously written content from places like your blog. 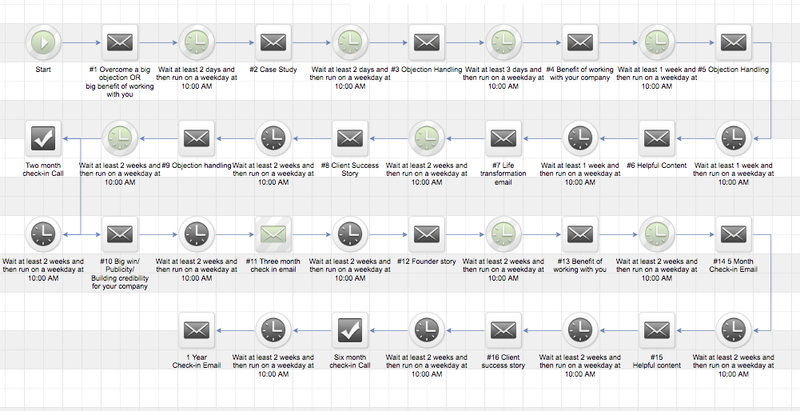 When you’re done put them into Infusionsoft and integrate the new nurture sequence into your main sales sequence. Client success stories - describe the pain your client was in before they found you and how amazing their transformation was after working with you. Big wins at your company ­- awards, successes, celebrity endorsements, publicity. Note: Generally you want to write emails about your clients and their needs, but it is good to show social proof and credibility too. Just ensure that you explain how your announcement/story helps your client. For example, If you are talking about winning an award, remind your potential clients that you provide (the best, most interesting, etc.) product or service available and how that helps them. These are my favourite types of emails to use. Just use common objections that leads have to working with you. To get more ideas, talk to your sales team and see what common objections that experience are. Try to get specific with these. What specific problem did you solve for your clients? What results did they get from it? Talk about the consequences of using your competitors and the advantages about working with you specifically. You can also write an email about what your clients should look for in a product or service like yours. All of the things that you offer with your product/service will then conveniently meet the criteria that you are telling them to look for. Send them ideas or strategies without pitching anything, just as a way to be helpful. A great source of content for these types of emails is your blog.​ Many blog posts are relevant for years. You can write short emails that link to useful posts that have already been written. Every month or two, send a simple check in email. It only has to be 1-­2 sentences, just checking in to see if they have any questions or need any help. Also, if they reached out to for a specific reason, it’s a great idea to remind them that the problem that they were looking to solve is probably still a problem. Example - they still need someone to manage their system back-ups so reiterating the consequences of not having an IT services company do that for them. This is more story­telling. Talk about the transformation a person can expect when they work with you. You can also add in offline touch points to nurture your leads. These can include direct mail, phone calls, or webinar invites. Once you create your schedule and outline the topics you’re going to cover, you have to write the content. This could take you a month if you don’t already have a lot of content written for your business. If you do have some stuff written, leverage as much of it as possible. You can always tweak and add to your nurture sequence later, the point it to just get something up.